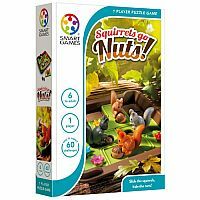 Help the squirrels get ready for winter in the Squirrels Go Nuts! 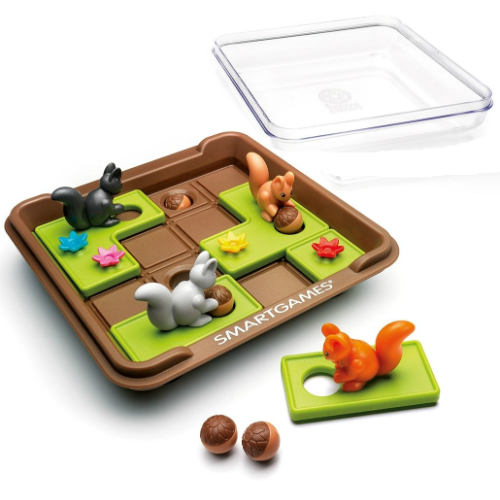 Puzzle Game. 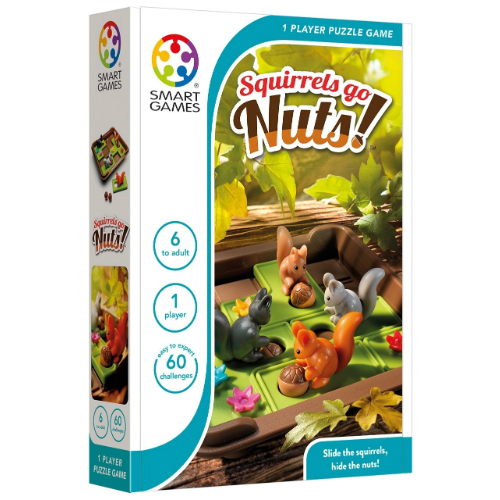 In this 1 player logic game, place the squirrels and acorns on the gameboard according to the challenge card. Then slide the squirrels horizontally and vertically around the gameboard so all the acorns are dropped into holes. 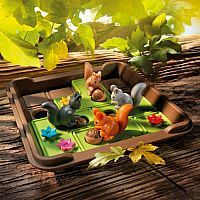 Can you move the squirrels around and hide their acorns underground for winter? 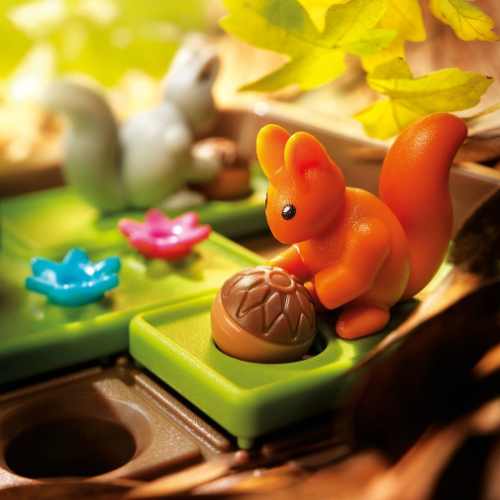 There are 60 nutty challenges from easy to expert to test your skills. 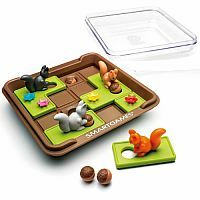 Gameboard has a lid, making this a great travel activity. Measures approximately: 6.75 x 9.50 x 1.75 inches..